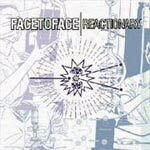 The latest from Face to Face, Reactionary shows the band's age. The music is still fast and plenty accessible. But, with slick production, among other things, the band seems to be trying to hard to retain their productive youth, churning out tired-sounding, generic pop-punk that just doesn't sound as if it feels what it is talking about. The band has lost its charm, leaving the power of their previous albums in favor of lackluster rock. I'll give it a C.